Food License Registration is necessary for all who are operating in the food industry. It includes wholesalers, manufacturers, traders, suppliers, re-packers and many more. Food License type depends upon the annual turnover and various other factors related to Food business. Along with this, every food business operator shall take Food License Registration from the concerned authority. The operators running their business without proper Food license will be liable to a strict penalty and will take into the charge as per the laws and regulations. The FSSAI has a separate category for offences and penalties related to food. The act that is FSSAI is applicable in the whole of India. Whereas, many people think that FSSAI is a new law and came into the application just a few years ago. Hence, takes the matter and consequences of food license easy. But to the subject of concern, it is a complete myth. And those who are unaware of Food License Registration should know that laws were always there for food quality standards. The only difference today is that the rules have now become more stringent. Now FSSAI license can be made online, and it is effortless and comfortable as well. Here we have mentioned the necessary steps of food license online registration. Steps to Apply Food License Online varies from Central to State government. 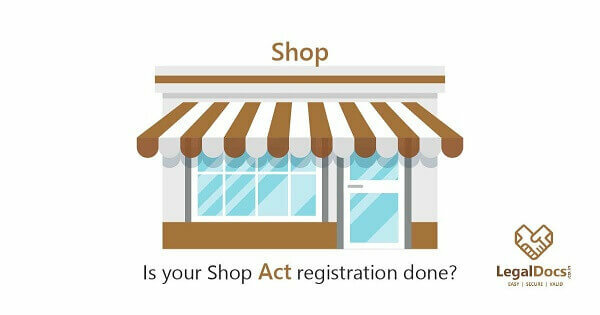 Eligibility here is checked to know whether your business comes under State list or Central list. If not does it comes under the annual turnover category. Fill the necessary details asked for such as address, district and click on submit. In case you have more than two or premises you can add the address after that by clicking on â€œSave and Addâ€. Carry the same process until all your addresses are filled one by one. 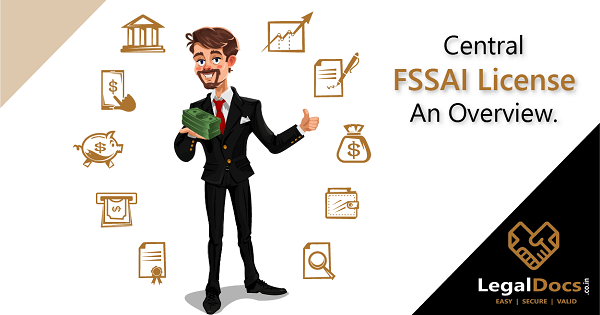 FSSAI Online Registration is based on the annual turnover; about that Form A or Form B has to be filled and submitted to the concerned department. Click on the â€œSign-up (For Self-care portal). (You can see it on the right-hand side of your screen. Once you click on the link, a Sign-up form will appear on the screen. Fill it up with necessary details such as contact details. Enter a username, password and email address; click on â€œRegisterâ€. After clicking on Register, the sign-up process will end, and you will be getting a message in your registered mobile number that â€œaccount successfully createdâ€. Hence, it means that you are now a registered account holder in FSSAI portal. Note â€“ the username and password are valid only for 30 days from the date it was created. Hence, make sure to apply for FSSAI online registration within the time period of 30 days only. Or else the User ID will get disabled automatically. After successfully creating a User ID now you need to follow up on the next step to apply for food license online. Fill the form application form with all the relevant details. Take the print out of the form that you have filled before submitting the document. Once the form is submitted successfully and the amount is paid, you will receive a reference number and an â€œAcknowledgment Receiptâ€ makes sure to note that number and take the print of receipt as well without fail, it will be useful for further process. After receiving the print out of the online form, you have to submit the same along with the documents within 15 days. The count for 15 days starts from the date of filling the food license online form. Make a list of all the details to be entered in the form beforehand. Apply for food license at least 30 days prior to the expiry of the current FSSAI license. Finish the complete process that is FSSAI online registration within 30 days of making an account in the FSSAI portal. Get ready to spend some hours on FSSAI online registration as it is going to be hectic and time taking. If you do not want to go through the hectic process of food license online, then feel free to approach us. We at LegalDocs are known to be the best FSSAI License Consultant in India. We will take all the burden from your shoulder, all you need to do is fill a simple and quick form that will be in the form of a questionnaire. Provide the documents scanned copy. We will get back to you with eligibility criteria and then will apply for food license online. Our experts will take charge by creating application form and filing it to the FSSAI portal. We will keep you updated on the status of food license. 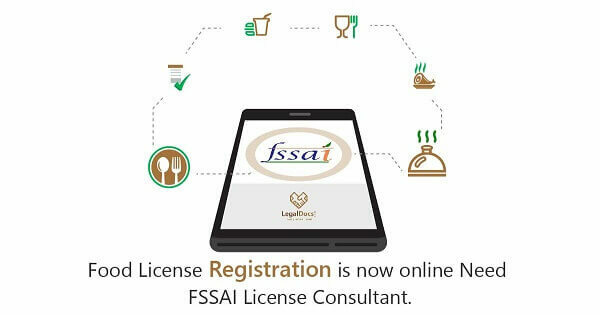 We have a team of trusted and experienced FSSAI License Consultants who will help you out with all your issues concerning Food License Registration. I have a food business, how should I take the food license? ?